Doors should be at least... 3 times this size. 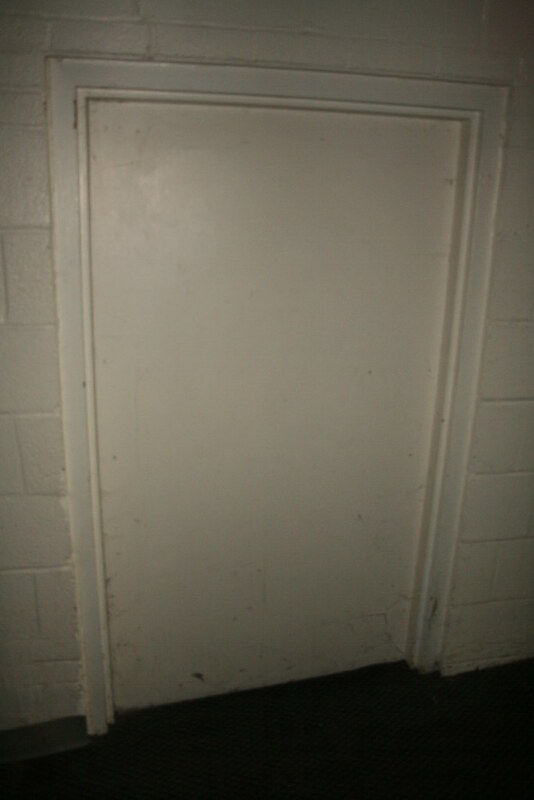 This former door once made sense, as one of the hotel's connecting passageways originally had a level elevation, with stairs. During renovations in the 1990s, it was necessary to meet ADA standards, and so the passageway was converted to an incline, eliminating the stairs. This doorway became irrelevant as a result of its unusual opening at the inclined floor it now joined.